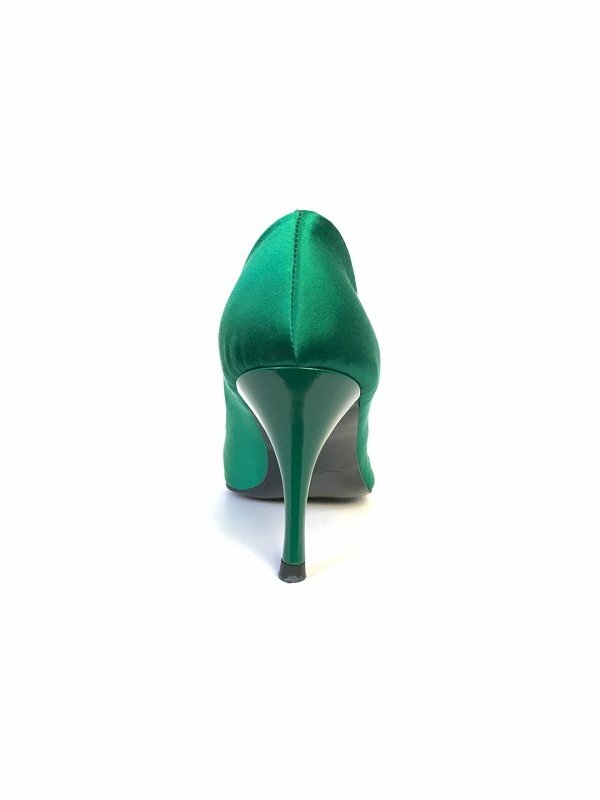 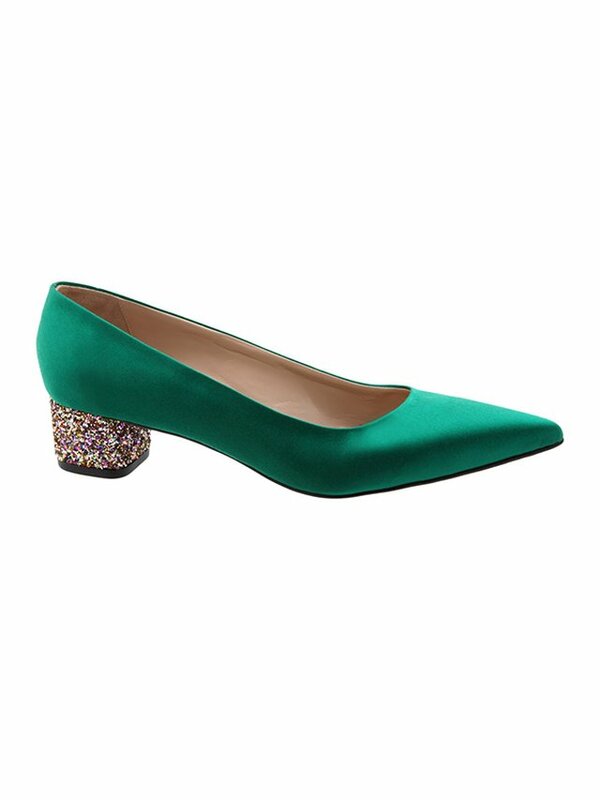 Emma pointy-toe emerald silk satin pump with emerald painted stiletto heel. 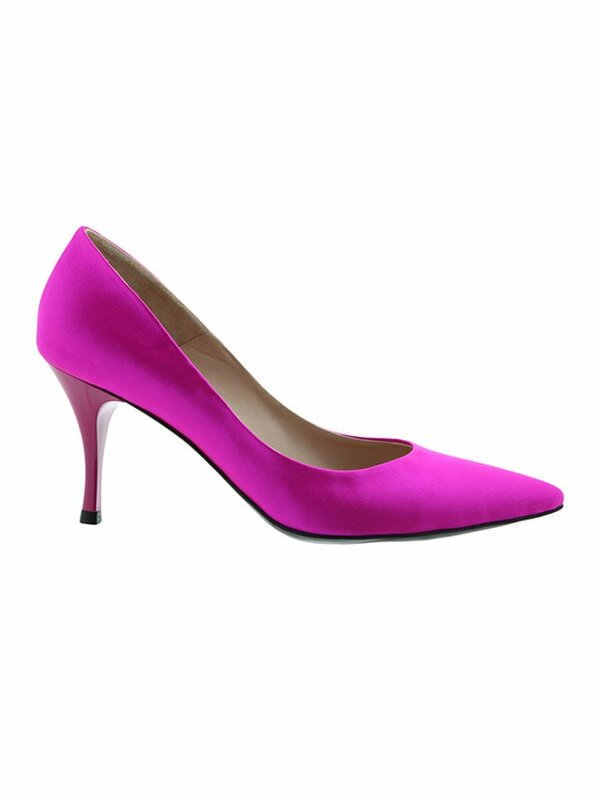 Handmade for comfort and effortless style – it is a leg lengthening pointy-toe pump for any woman this season. 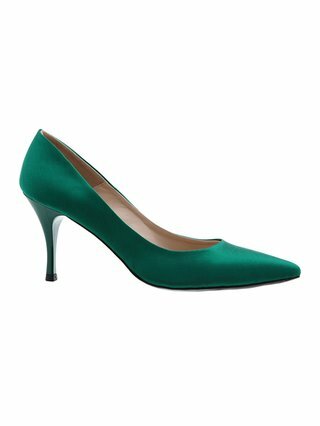 The smooth silk satin is designed with a pointed toe for a sleek finish.This simple lightweight style is our ultimate ladylike staple for day or evening. 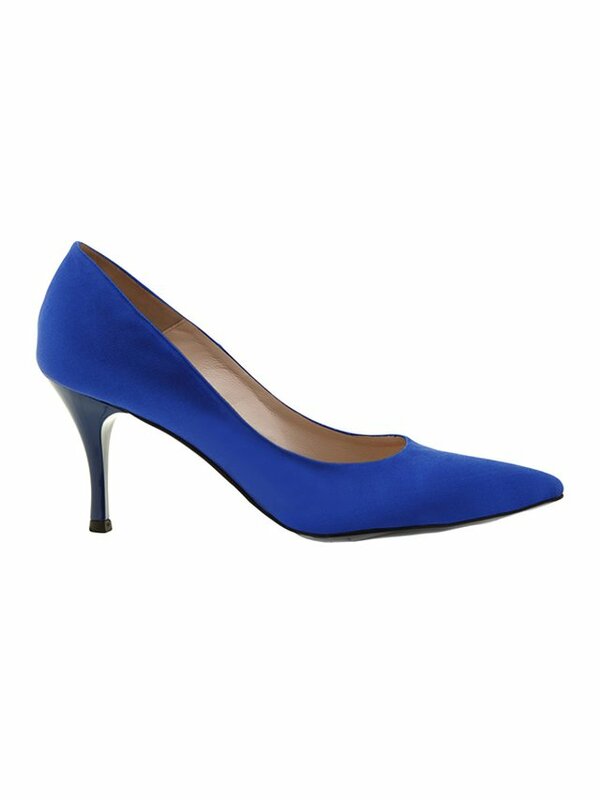 Handcrafted from the finest materials, they come with a modest heel that doesn’t compromise on comfort. 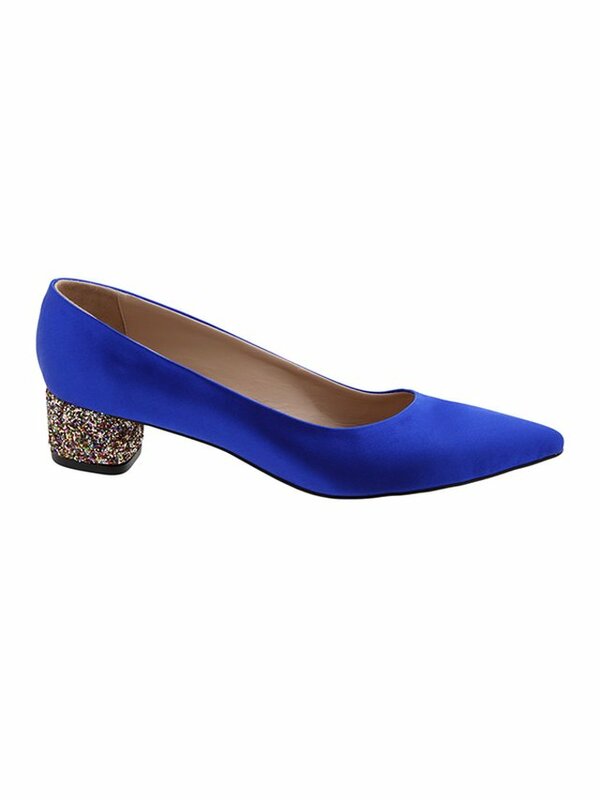 They’ll prove the perfect complement to sharp tailoring, denim separates and summer midi dresses alike.